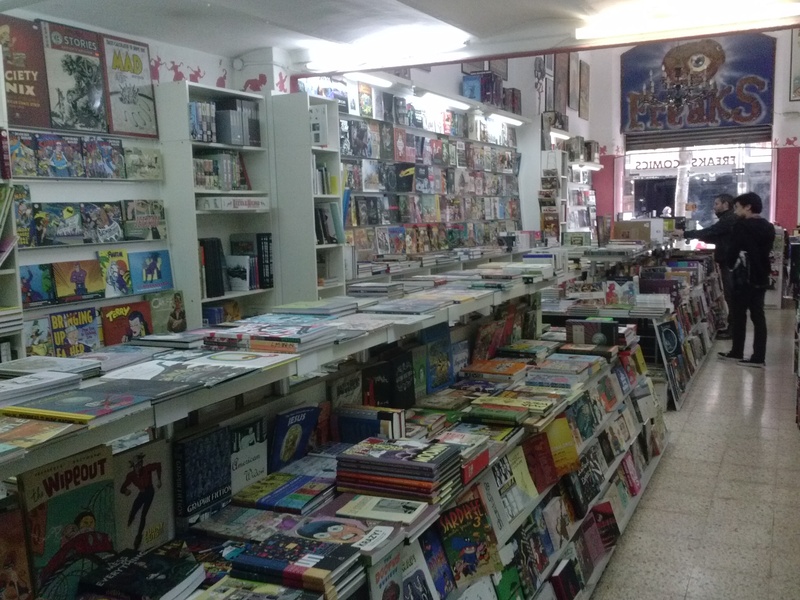 Destinations: Barcelona Comic Shops | Comics Vacation! 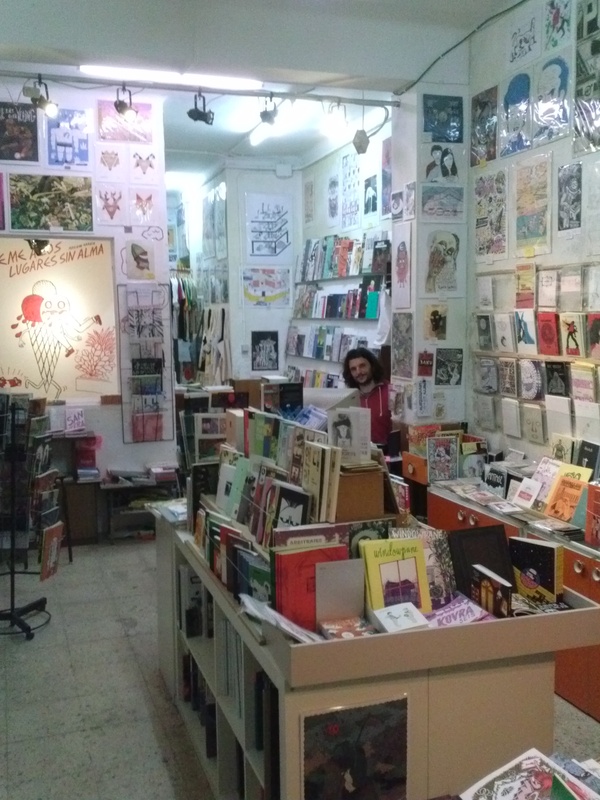 Barcelona has great comic shops. Like, really great. In the brief time I was there, I had time to visit three—they were all located in beautiful buildings in incredibly charming parts of town. From what I could tell, they had all done well to carve out relative niches in the scene, giving visitors reason to see them all. 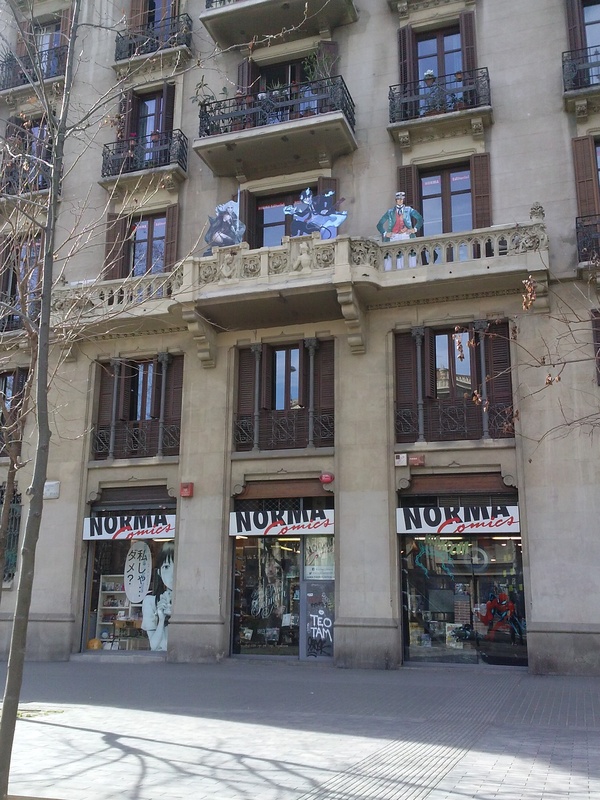 I was drawn into this store by the Corto Maltese cardboard cutout perched on a balcony on the the third floor of the exterior. He was joined by two other characters that I was unfamiliar with—one manga, one fantasy—but oddly enough, the tactic worked. From the outside I could see that the space was big, so I was sure that I would find something interesting. And I did. While the independent section was minimal (but well-chosen), it was full of great selections from artists from around the world. 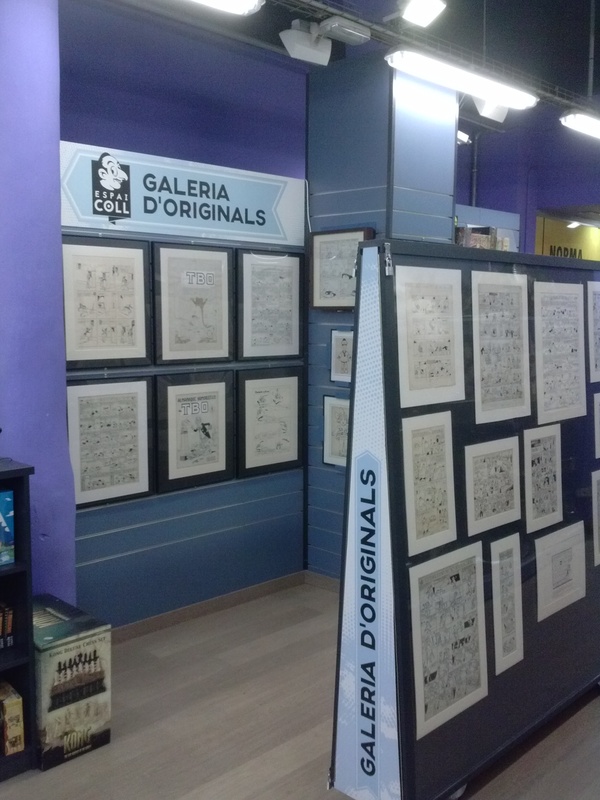 The space was well-balanced between larger European albums, reprints of mainstream American comics, toys, and even a section devoted to selling original comic art. Not exactly my kind of store (and my Spanish is non-existent), but hey, I walked away with this charming little Marion Fayolle book, something that I’ve been interested in for quite some time. So yeah, while there’s probably something for everyone, it’s more geared to the Spanish audience. Nonetheless, definitely worth the visit. 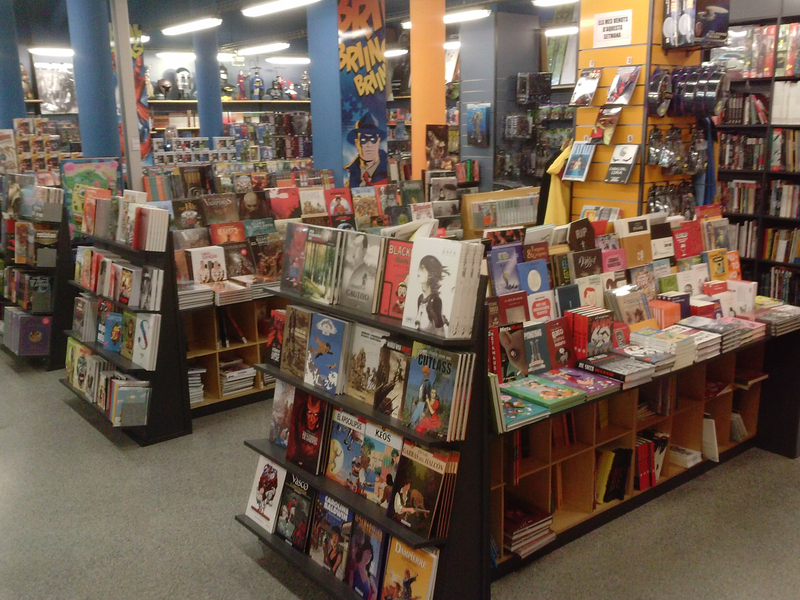 The Freaks comics shop is the midpoint in what is an impressive run of three Freaks media stores, the other two specializing in DVDs and art books. While this shop had a little bit of mainstream stuff (appropriately relegated to a tiny back room), the independent stuff is on full display here. Comprising two long center tables, the first focused on original Spanish books and Spanish-language reprints of foreign works. Regrettably, I didn’t have a whole lot of time to take notes, but I did have enough time to drool over these gorgeous Prison Pit reprints. 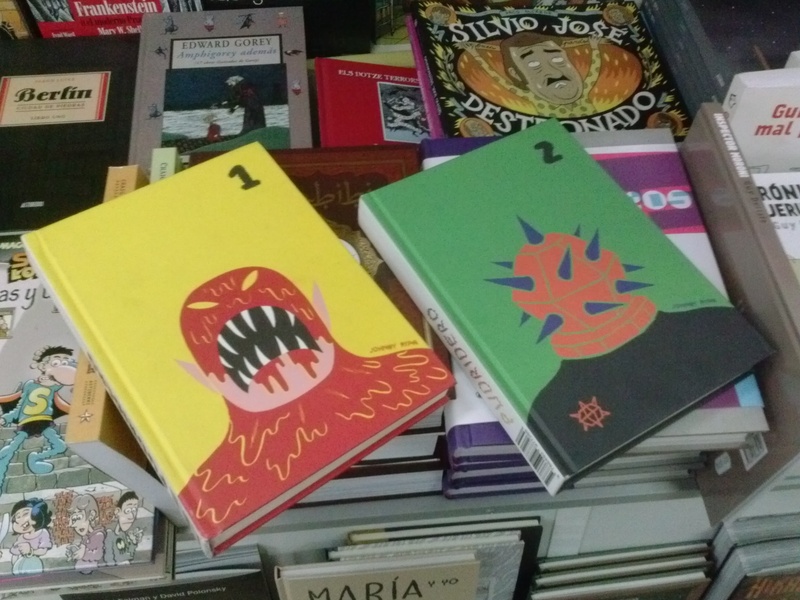 The second table had an impressive selection of non-Spanish indie stuff from all over—Kuš, Drawn and Quarterly, First Second, Fantagraphics, No Brow, etc.—so a must stop for anyone, especially you. Pudridero 1 & 2. Published by Fulgencio Pimentel. When asked where in Spain I could buy books by fellow Maison des Auteurs residents Los Bravù, they replied with this. 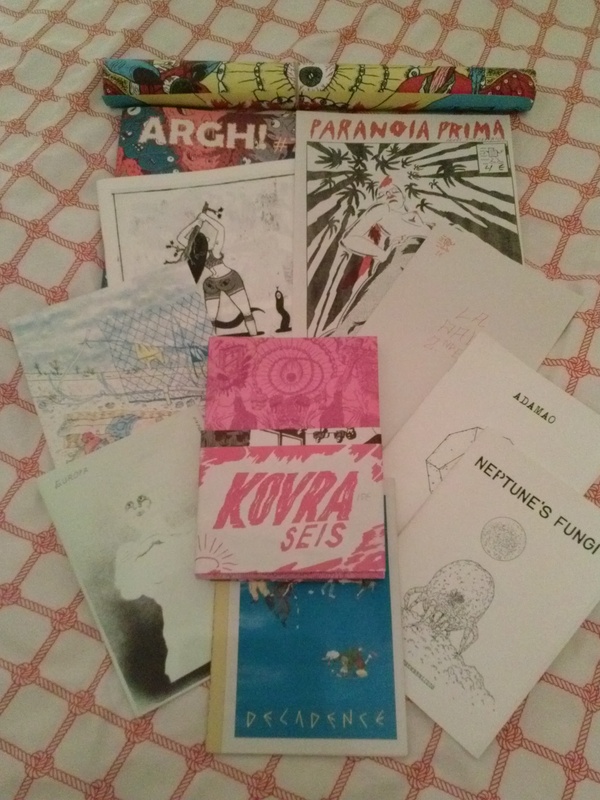 With barely a barcode in the entire store, the entire emphasis is on small press. You could easily lose an entire day browsing, so I chose the easy way out and asked the owner to pick works by his favorite Spanish artists, and threw in some Decadence (U.K.) stuff for good measure. They have an amazing website too, by the way. 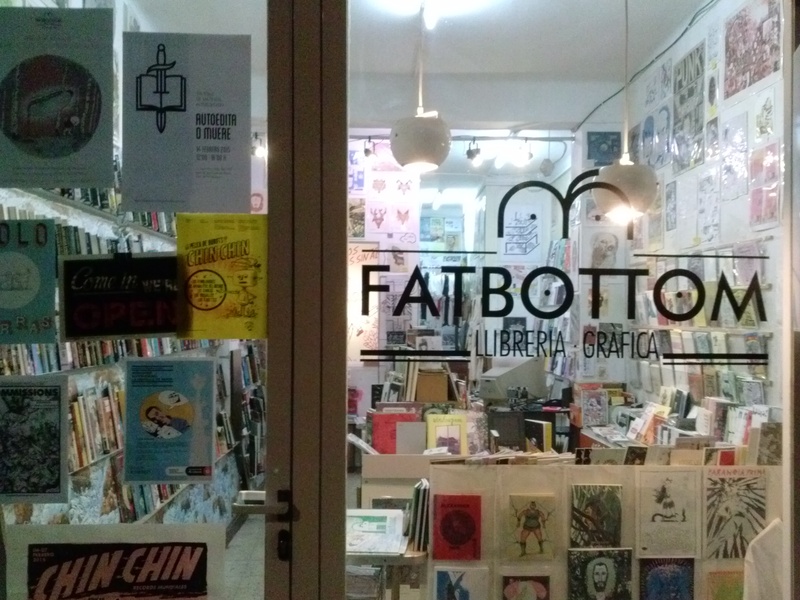 Fatbottom Llibreria Grafica. Barcelona, Spain. Fatbottom Llibrairia Grafica. Barcelona, Spain. For quick reference to all of the above-mentioned spots, check out the itinerary section of the blog.